While the GPUs of the Pascal generation are already available in many high-end gaming notebooks, the middle-class of the new GPU generation is still missing. According to DigiTimes, this will change in January with the release of the GeForce GTX 1050. Nvidias Pascal GPUs are all the rage right now. Of course, mainly thanks to their much better performance. The new laptop GPUs almost reach the level of the desktop models. This new level of performance is even represented in the naming – the new GPUs dropped the "M" that normally came after the model number, so they have the same name as the desktop GeForce-GPUs now. 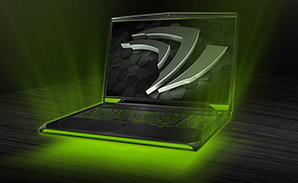 Until now, Nvidia has introduced three different Pascal GPUs for the laptop market. These GeForce GTX models are the 1060, 1070 and 1080. Compared with the desktop models, its easy to notice that the forth Pascal GPU in the mobile market is still missing, the GeForce GTX 1050. While it was speculated about and a benchmarked also was leaked, the release-date of the 1050 was unknown till now. Smaller laptops and cheaper Gaming-Notebooks still have to use Maxwell so far. This is supposed to change, soon. According to the Taiwanese tech-site DigiTimes, Nvidia plans to release the GeForce GTX 1050 on CES 2017. This fits with Intels plans, as Intel plans to announce the Kaby Lake Quad-Core CPUs on CES as well. Lenovo, Asus, Gigabyte and MSI are already preparing a new wave of Gaming laptops according to DigiTimes. These new notebooks will compete in the 900 to 1300 Dollar market.